When you go to buy a new or high-quality pre-owned vehicle, you are probably looking for great features and, you know, a functioning engine. However, there is another critical aspect of a vehicle that you should take into account before buying: the car color. Drivers have completely changed brands in the past because they couldn’t find the right color, so no one can claim that the color of a car doesn’t matter. Keep reading to learn about the most popular car colors and which car color offers top resale value. Which Car Color Offers Top Resale Value? The color of a car can affect its depreciation value. 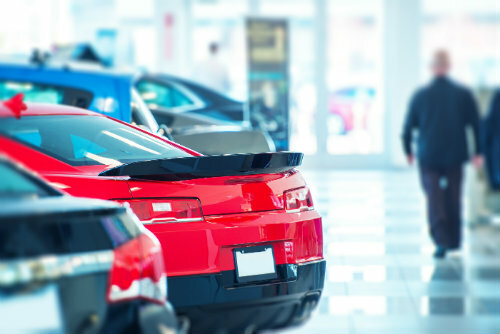 Generally speaking, vehicles that are of more popular colors will have slower depreciation, and owners will be able to sell them for more then they want to upgrade to a newer model. While different years have some variation in preference, the top performing colors for cars, trucks and SUVs in the United States are silver, white and black. While red cars don’t usually make the top three most popular vehicle colors, they make the top three when it comes to vehicles that get pulled over the most for speeding. In one study, white and grey vehicles (two of the top numbers generally) headed the list. It’s difficult to say whether these citations are because cops have it out for red cars, or because the drivers of red cars want to go fast. Either way, it’s something worth keeping in mind when you are looking at a new-to-you vehicle. Do you have other car-color questions? Let us know in the comments, and be sure to check out our previous Tips and Tricks posts. This entry was posted on Tuesday, January 31st, 2017 at 3:20 pm	and is filed under Just for Fun, Tips and Tricks. You can follow any responses to this entry through the RSS 2.0 feed. You can skip to the end and leave a response. Pinging is currently not allowed. What is the Best Used Car Available?